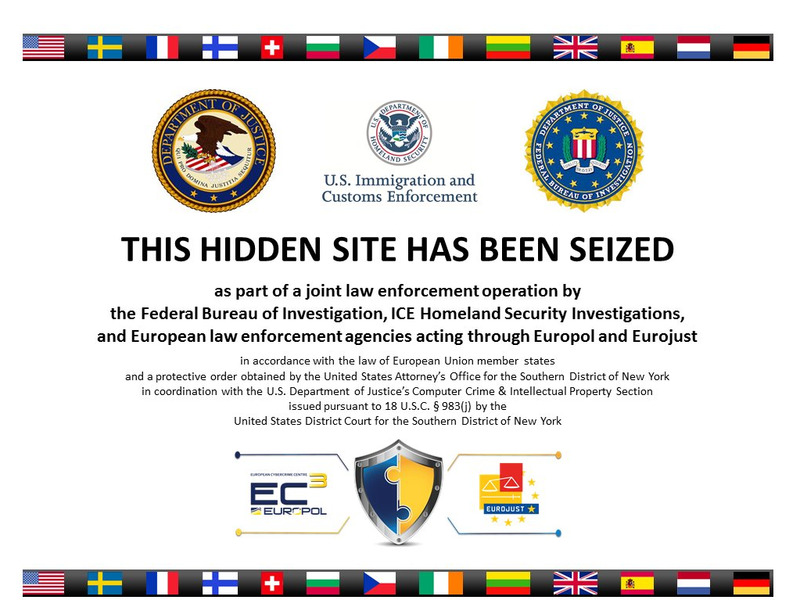 The FBI and Europol have conducted a joint operation to take down the internet’s thriving “deep web” drug marketplaces. The official FBI New York Twitter account just confirmed the seizure of Silk Road 2.0, saying that the site’s alleged operator, Blake Benthall, was arrested in San Francisco on Wednesday. He now potentially faces life in prison, the FBI says. Benthall appears to be an employee of SpaceX, Elon Musk’s private rocket company. We’ve asked SpaceX for comment and will update this story when we hear back. There are also reports that police have arrested a major online drug dealer in Ireland, as part of what is being called Operation Onymous. Silk Road 2.0 was taken offline exactly one year after it went live on Nov. 6, 2013. Visitors to the deep web drug marketplace have been met with an official police notice informing them of the site’s seizure. Benthall is charged with one count of conspiring to commit narcotics trafficking, one count of conspiring to commit computer hacking, one count of conspiring to traffic in fraudulent identification documents, and one count of money laundering conspiracy. He potentially faces life in prison. In its criminal complaint, the FBI claims that by October 2014 the Silk Road 2.0 was processing $8 million in monthly sales. Additionally, the FBI claims that Benthall, using the online name “Defcon,” contacted his support staff in September 2014 to inform that an unknown hacker had stolen “all of the Bitcoins” from the marketplace. The FBI investigated the hack and claimed that $1,412,000 in Bitcoin had been stolen. A person identical in appearance to the individual in the Twitter profile referenced in the FBI complaint also owns a Facebook account, where he lists his profession as a software engineer at SpaceX, Elon Musk’s space rocket development company based in California. The FBI also cites Benthall’s Github account in the indictment. Github is a code-sharing web site for software developers. Blake Benthall’s LinkedIn profile photo. The FBI seemingly had access to the Silk Road 2.0’s servers, as in the criminal complaint they claim to have viewed private messages sent through the site. In the criminal complaint against Benthall, the FBI claims that investigators were part of the original conversation that took place during the launch phase of the site, and that they were granted moderator privileges on the drug marketplace’s forum. The original Silk Road was seized by police on October 2 2013. Police arrested Ross William Ulbricht, the man accused of running the site, in a San Francisco library. European police have hinted that further shutdowns and arrests will occur. Operation Onymous, they say, will conclude within hours, and will “disrupt global activity” on the deep web. Almost all of the deep web’s major drug marketplaces are offline, raising the possibility that the FBI has caused severe disruption to the online drug trade. Agora, Alpaca, BlueSky, C9, Hyrda, Pandora, and the Silk Road are all currently offline. Blake Benthall’s Twitter profile photo. Earlier today, one of the Silk Road’s biggest drug dealers was arrested in Ireland, police claim. Ecstacy, LSD, and other drugs worth up to €180,000 were seized in a police raid, the Irish Examiner reports. Two men in their thirties were arrested at the scene. The arrests are part of the same police operation which led to the seizure of the Silk Road. Since about December 2013, BENTHALL, a/k/a “Defcon,” has secretly owned and operated an underground website known as “Silk Road 2.0” — one of the most extensive, sophisticated, and widely used criminal marketplaces on the Internet today. The website has operated on the “Tor” network, a special network of computers on the Internet, distributed around the world, designed to conceal the true IP addresses of the computers on the network and thereby the identities of the network’s users. 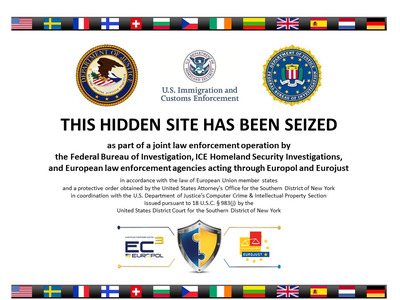 Since its launch in November 2013, Silk Road 2.0 has been used by thousands of drug dealers and other unlawful vendors to distribute hundreds of kilograms of illegal drugs and other illicit goods and services to buyers throughout the world, as well as to launder millions of dollars generated by these unlawful transactions. As of September 2014, Silk Road 2.0 was generating sales of at least approximately $US8 million per month and had approximately 150,000 active users. using the same online moniker as that allegedly used by Ross Ulbricht in operating the original Silk Road website — “Dread Pirate Roberts.” In late December 2013, however, BENTHALL, using the moniker “Defcon,” took over administration of the site and has owned and operated it continuously since that time. In that role, BENTHALL has controlled and overseen all aspects of Silk Road 2.0, including, among other things: the computer infrastructure and programming code underlying the website; the terms of service and commission rates imposed on vendors and customers of the website; the small staff of online administrators and forum moderators who have assisted with the day-to-day operation of the website; and the massive profits generated from the operation of the illegal business. Mr. Bharara praised the outstanding joint efforts of the FBI and its New York Cyber Branch and HSI and its Cyber Crimes Center and Chicago-O’Hare Field Office. He also thanked the Drug Enforcement Administration’s New York Organised Crime Drug Enforcement Strike Force, which comprises agents and officers of the DEA, the Internal Revenue Service, the New York City Police Department, HSI, the New York State Police, the Bureau of Alcohol, Tobacco, Firearms and Explosives, the U.S. Secret Service, the U.S. Marshals Service, Office of Foreign Assets Control, and New York Department of Taxation. Mr. Bharara also thanked the Department of Justice’s Computer Crime and Intellectual Property Section for its assistance and support, the Department of Justice’s Criminal Division Office of International Affairs, and the law enforcement authorities of France, Germany, Lithuania, the Netherlands, and the United Kingdom. Mr. Bharara also noted that the investigation remains ongoing. The prosecution of this case is being handled by the Office’s Complex Frauds and Cybercrime Unit and Money Laundering and Asset Forfeiture Unit. Assistant United States Attorneys Serrin Turner, Timothy Howard, and Daniel Noble are in charge of the prosecution. Assistant United States Attorney Margaret Graham is in charge of the forfeiture aspect of the case.